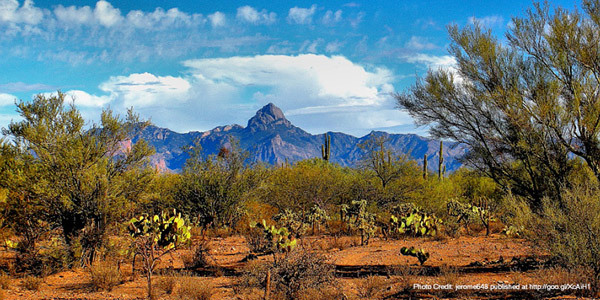 The Tohono O'odham Nation is composed of Pima and Papago Indians. Traditionally, both tribes were farmers, but in the 1820’s settlers began to take over the tribe’s water sources, and their income decreased considerably. In the early 20th century the tribe's children were sent to distant boarding schools. This caused much grief among the close-knit Indian families. In 1916, the U.S. government finally built four-day schools on the reservation which allowed the children to stay with the tribes during their schooling. The tribe still maintains their culture with public rituals, traditional music, and language classes. The tribe has a population of 10,805. Their unemployment rate is a very high 66%, with a per capita income of $3,113. They still rely on agriculture as a major source of income, with cotton and cattle being the main products. The tribe has a bingo parlor, a copper mine, and a shopping center. They generate tourism with an all-Indian fair and rodeo, campgrounds, a national observatory and an archaelogical site. Health care is provided by an Indian Health Services hospital on the reservation. The children are going to school on the reservation where there are several preschools, elementary schools, and high schools.